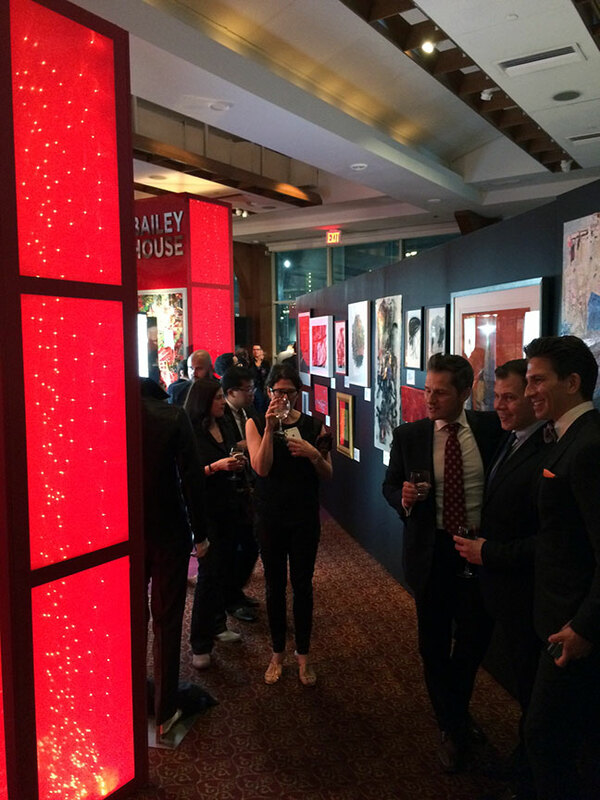 Bailey House 2016 Gala — Geoff Howell Studio Inc. This years theme for the Bailey House 2016 Gala was underscoring their crucial involvement in providing city housing. Large light filled towers were used to create the feeling of a cityscape with small lights coming from hundreds of windows. 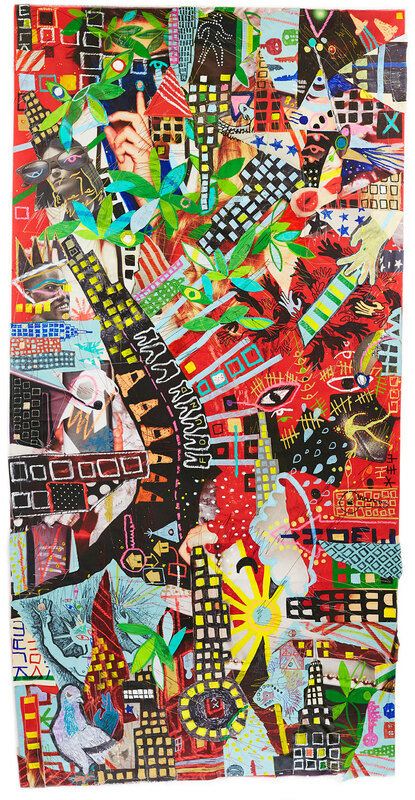 On of our very own artist's in residence, Brian Kenny, was commissioned to create the beautiful original work of art in a large scale mixed media collage and the color of the towers were largely determined by his front-and-center work of art. His collage was also used as the artwork of the invitation which also informed the overall look of the party. At the entrance was a semi-circle of large backlit lightboxes, highlighting all the services Bailey House provides. Large expanses of basic black walls showcase the many hundreds of donated artworks, travel packages, interior design consultations and many other one-in-a-lifetime opportunities for dinners with celebrities, etc. The attractive ambiance that Geoff Howell Studio created and the placement of the walls created an ideal atmosphere for a very successful fund-raising. Newer:Sunglass Hut: Dolce & GabbanaOlder:How Does Your Garden Grow?